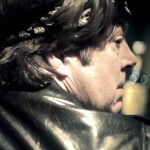 All-Allam.com was created in 2012 as a website by and for Roger Allam fans. We hope it is a fitting tribute to an actor whose work we enjoy so much. It’s difficult to do justice to his talents and a career that has spanned several mediums for over three decades but we are constantly striving to make the website better. We are very happy to say that as of 2015, All-Allam.com is Roger Allam’s official website. Ours is a very diverse team and we welcome contributions, big and small, from all corners of the globe. We’re absolutely thrilled by the communications we have had from fellow fans – currently we have most continents covered with submissions and assistance coming from the UK, USA, Australia, China, Japan, The Philippines, Brazil and all across Europe. 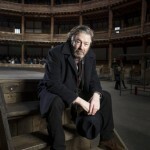 We all found Roger Allam’s work in different ways – some of us have been enjoying his performances since before others were even born! Varied as the paths that led us here are, it’s clear that we all have one man to thank for it all. We hope you all enjoy visiting this site as much as we have loved making it! If you have any enquiries or would like to be involved, please feel free to email the team. Reviews, summaries, writing things and general admin. Has colour coded spreadsheets and is not afraid to use them. I grew up watching Inspector Morse and Lewis, saw murder and mayhem in Oxford and thought ‘that’s the University for me!’ I suspect this says quite a lot. 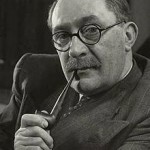 I would quite willingly live in The Globe, love music and spend a fair bit of time delivering lectures about an extremely admirable First World War psychiatrist. I also enjoy translating Anglo-Saxon poetry and going on tours of religious sites. It’s all rock and roll here, I can tell you. As well as being All-Allam’s artistic director, she also tinkers with the website and its social media, writes reviews and occasionally acts as ‘press person in residence’. 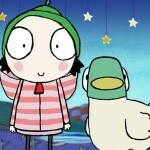 I’m always ready to go on an adventure with Sarah & Duck! Watching Sarah explore the world, laughing along with silly Duck, racing with Scarf Lady, talking with the shallots, collecting buttons with Bug, dancing the firework dance… The art is beautiful, the writing clever and funny; it’s always sparking my imagination. And of course, the narrator is brilliant! I like pubs after plays, my grandmother’s broccoli soup, drawing dinosaurs and showing people pictures of my dogs. 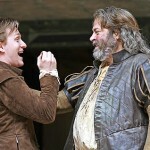 The first time I went to The Globe I accidentally slapped a poster of Falstaff so hard in the face, Roger Allam woke up with a black eye (he doesn’t remember it). Gif maker-in-chief. Also provides excellent help with research, reviews and Tumblr updates. I find La Cage Aux Folles particularly fascinating because of the way in which the interactions between Albin and the other main characters make it possible for the play to reach such deep levels of tragedy as well as clever humour. When I’m not studying the most unsettling aspects of ancient civilizations I spend some time cycling around, listening to the radio and producing noises from musical instruments – though not always at the same time. Research, reviews, editing and all around moral support. Douglas Richardson from Cabin Pressure, because of the wide range of character subtleties which had to be portrayed – along with the humour – and all to be delivered by voice alone. 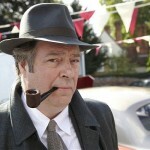 Also, it was my introduction to Roger Allam’s work so will always hold a place in my affections. Lana enjoys writing (though not about herself!) and spending time with her lovely dog. She had her first proper taste of Shakespeare on a holiday to the UK; having never seen a Shakespeare play live before, she watched Othello, Macbeth and The Tempest all in one week. She is now a convert. Falstaff for the wit, the merriment, and the sack; Douglas Richardson for the wit, the merriment, and the Camembert. Bookworm, language enthusiast, theatre devotee, and classical music fan. I can be found either pressing keys on pianos, or discussing the evolution of rhotic sounds in modern languages. Despite what the life style might suggest, not, in fact, anyone’s grandmother. Editor, review writer, researcher and doer of much. Gilbert Harding (Doctor Brighton and Mr Harding). There’s a haunting beauty about Allam’s portrayal of Harding, particularly when he speaks about death. The way the radio play deals with mortality and reflections on the reality of it made me fall in love with the whole thing. Living the quiet and often frustrating lifestyle of the student hermit, praying regularly to the gods of Sony Playstation, Television and any who will provide me with ample book supplies until my dying day. I write in random bursts though not very much of great consequence (just ask my university lecturers). Despite this I hope one day to write properly and own a couple of Westies who I will spoil rotten. Review writer, general site consultant, bringer of moral support. I love theatre, and was lucky enough to see The Tempest twice. I was in complete awe of that Globe production, and Roger Allam’s Prospero will always have a special place in my heart. I don’t watch TV very often, but I have a soft spot for Roger as General Campion in Parade’s End. 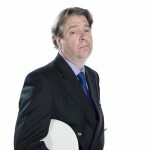 As far as radio is concerned, my all-time favourites are Douglas Richardson from Cabin Pressure (long live the Sky God! ), and the poignant voice of Jean Valjean in the beautiful rendition of Les Misérables recorded for BBC Radio 4 Extra in 2008. Being an interpreter and translator, I play with words for a living; it’s not all fun and games, but I do my best. I’m an avid reader, a slow writer, a cat lover, and I have a degree in procrastination. I’m also a die-hard Anglophile, so you’ll probably find me in London a few times a year, watching a play, going to an exhibition, or simply meeting up with friends to explore the beauties of that incredible city. One of our wonderful researchers, capable of finding photographs, articles and videos that the rest of us didn’t even know existed. 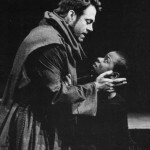 A long time ago on a school excursion to England I was fortunate enough to watch the Royal Shakespeare Company’s Measure for Measure with Roger Allam. I think, therefore, that I must choose Duke Vincentio as my favourite as his powerful performance left a big mark. I love being in the outdoors, cycling, running or hiking and also the theatre. 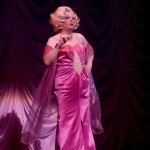 I have watched plays and operas all my life but have only recently discovered musicals. I watched several, including Les Misérables, for the first time in London’s West End on holiday last year. As much as I enjoyed it, it is something I am sad not to have seen Roger in. Sorry chaps, you’ll have to share the podium: Quentin from Trading Licks (the looks) and Douglas from Cabin Pressure (the brains). I plan to visit every country in Europe; have achieved roughly a third so far due to straying from the path (mainly Southeast Asia and Down Under). Hope to be quicker than the EU’s expansion. Thanks also to: Ruth, Nicky, Justine, Kathy, Tim, Sunny, Amy, Scott, Marina, Joni, Sion, Jolande, Merc and all of the other wonderful people (you know who you are!) who have helped us over the past few years.